Moving away from the Hispanic lands for now, we find ourselves in Osaka, Japan for tonight's Wassail with the 1992 single by Shonen Knife 'Space Christmas'. I like to imagine that this record is a kind of riposte to Momus's 'Christmas on Earth', which was featured here previously. 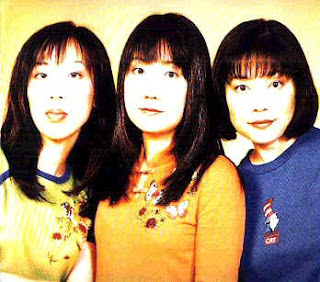 Whereas Momus's track deals with the existential loneliness of a man who has given up his life on Earth for a life out in the far reaches of space, moving in his spaceship light years from now and reflecting back on the things he remembers from his life here, Shonen Knife seem to really celebrate the idea of getting in a spaceship and having mad Christmas parties up in space. There's a real joyous energy about this track which, coupled with quirky nonsense lyrics("I'm waiting for Santa Claus// He's riding on a bison sleigh") which may either be nonsense or just a bad translation, that makes this a dizzyingly effervescent Festive treat. Like bingeing on Pear Cider! Coupled with the striking cartoony image that Shonen Knife projected, it's no wonder that for many years I proclaimed this as my all time favourite Christmas song! Now, I try to be positive about every band or artist that I write about in the ~Streetlamp~, in fact I don't really have to try as I tend to LOVE every artist I write about, but sadly Shonen Knife must be the exception. 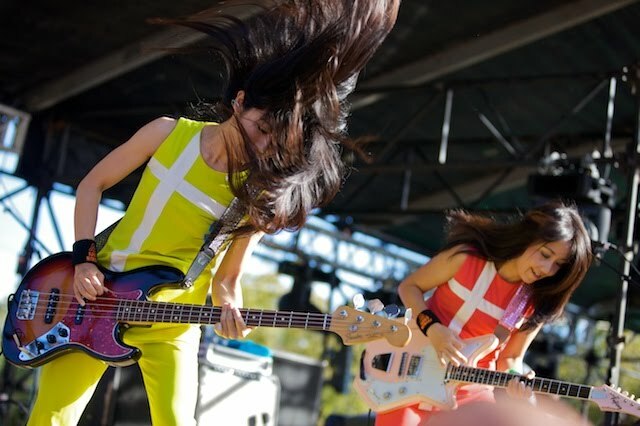 You see, Shonen Knife were NEVER as good as you always hoped they would be. Sure, the idea of three Japanese girls in cartoon attire playing a brand of psychedelic Punk Pop seems instantly appealing, but a lot of the records were dreadful. Especially the early ones. In a rather onanistic reference that only Griff will understand; when we were in bands back in High School, a lot of the songs our bands wrote and played all sounded suspiciously similar. This is because EVERY song we wrote was in the same key. We didn't know back then how to compose songs in different keys, so everything sounded the same. 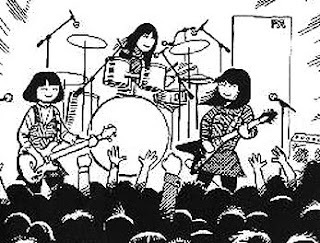 And that's exactly what the score is with most of Shonen Knife's early work. Singles like 'Lazybone' just sound underwritten and underplayed. Had they not received Kurt Cobain's patronage I doubt that anybody would have taken any notice of them. Not that being a favourite of Kurt Cobain meant you were any good....The Melvins, anyone? I bought one of their albums, '712', and it really is the most annoying and unlistenable rubbish. Half baked attempts at Rap, lyrics believing their own hype, and then so much laziness that they pad the album out by having their (American) producer come in with his mates to perform John Lennon's 'The Luck of the Irish', I mean....HUH?? What is going on here? Did they simply run out of ideas? 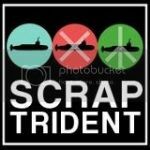 BUT....the 'Space Christmas' single and some subsequent releases like 'Riding On The Rocket' and 'I Am A Cat' proved that they COULD make the kind of records they always threatened to! So, YEAH, 'Space Christmas' is a truly fantastic racket! If only ALL their records had been that way! !